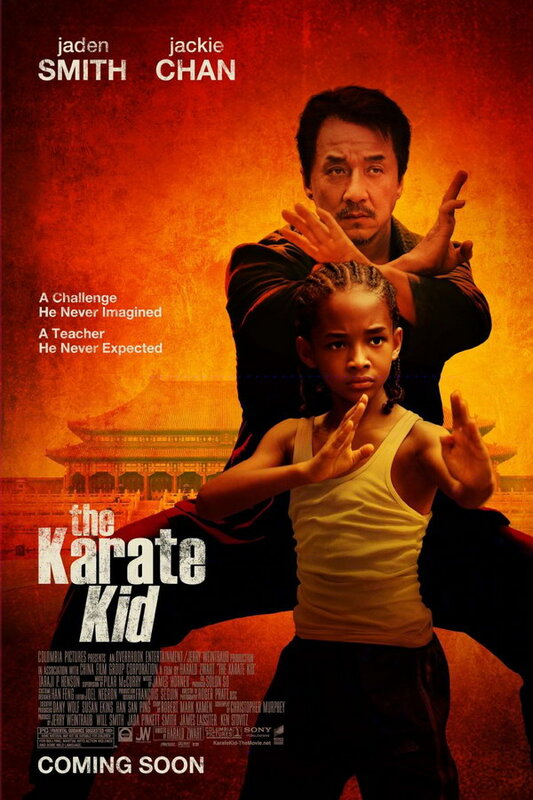 The Karate Kid is a 2010 American martial arts drama movie directed by Harald Zwart and a remake of the 1984 movie of the same name. The font used for the movie title is very similar to Haettenschweiler. For the title on the 1984 movie poster, it was probably designed using Clarendon. Both are available as commercial fonts and you can view more details about them here and here respectively.